Sowing, watering, weeding … harvesting! Little strawberry mouse has a lot to do before she can sink her teeth into the delectable fruit! Who will help her in the garden? 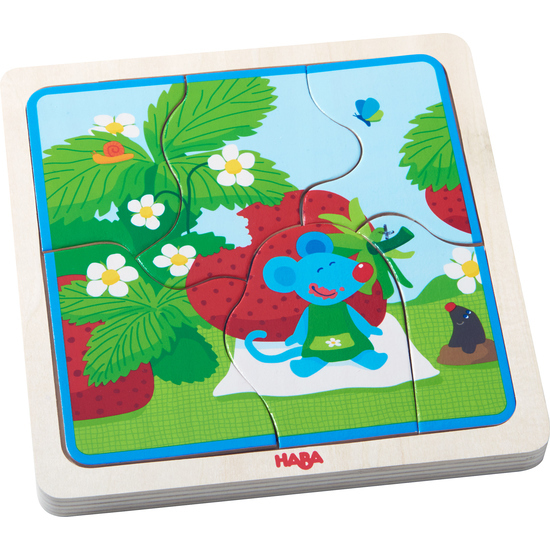 Individual puzzle pieces are puzzled on top of each other into the puzzle board recesses. That’s fun! And trains fine motor skills along the way.